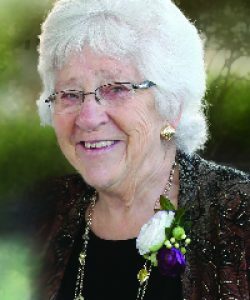 Marie A. Couture, 92, of Worcester died Monday, January 14th in the St. Francis Home. Her husband of 65 years, Alfred L. Couture died in 2012. She leaves five sons: Richard Couture of Baltimore, MD, Joseph Couture of Spencer, Edward Couture of Delran, NJ, Anthony Couture of Sterling and Michael Couture of Worcester; three daughters, Linda Sullivan of Mattapoisett, Elizabeth Couture of Worcester and Janet Couture of Southborough; 18 grandchildren; 5 great grandchildren and many nieces and nephews. She was predeceased by a daughter, Shirley Ann Couture and a son, John Couture. Marie was born in Winchendon, the daughter of Ludger Cote and Elizabeth Cote Archambault. Marie was a devout Catholic and a former member of Immaculate Conception Church in Worcester and a member of St. Joseph’s Church, Charlton. 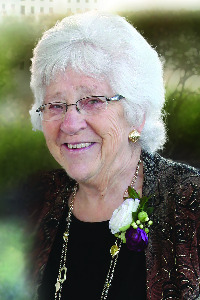 Marie served as a past president of the Holy Cross Church Rosary Sodality in East Templeton. Working with Catholic Charities, Marie cared for over 87 foster babies. In the mid-60’s, Marie owned and operated the Elm Street Yarn Shop, a small business in Baldwinville. Later in life she volunteered at St. Vincent Hospital where she rocked babies and sent them all home with one of her knitted hats. Her funeral is Thursday, January 17th with a Mass at 3:00 PM in St. Joseph’s Church, 10 H Putnam Road Ext., Charlton (Please go directly to church). Burial will be in Worcester County Memorial Park, Paxton. Calling hours are Wednesday, January 16th from 5:30 until 7:00 PM in O’CONNOR BROTHERS FUNERAL HOME, 592 Park Avenue. In lieu of flowers memorial contributions may be made to St. Jude Children’s Hospital, 501 St. Jude Place Memphis, TN 38105.